REDUCED! 3 bed apartment Loul�, Goncinha - Property for sale. 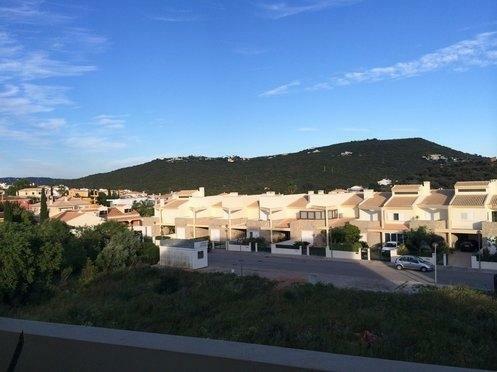 Full Description: This spacious 3 bedroom, 1st floor apartment is located in the countryside between Almancil and Loule at Goncinha. With lovely countryside views and tranquil surroundings the property would make an ideal permanent home. There are 3 local coffee shops/restaurants in the village and another 2 within easy walking distance. A 5 minute drive or 20 minute walk will take you to all the amenities in the centre of the market town of Loule including the new Continente shopping mall. Built in 2006 and in excellent condition and decorative order the layout comprises an entrance hallway with wardrobe storage, 3 double bedrooms, all with fitted wardrobes and access to a large balcony with country views, master bedroom with en-suite bathroom and there is an additional shower room. The kitchen is fully fitted and equipped and has a large storage room/pantry and direct access to another large balcony on the other side of the apartment. The lounge/dining room also has twin patio doors to the same balcony again with lovely views. Other benefits include secure underground private parking with private storage room. large communal roof terrace shared between just 6 apartments with fantastic views and security video entry system. This is a very nice apartment in a popular location and viewing is recommended. This listing has been viewed 1162 times.